Contact us for your free, personalised, Fully itemised ITINERARY TODAY! 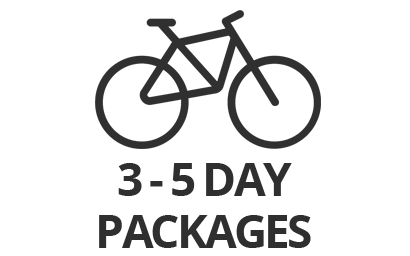 PACKAGE INCLUDES BIKE HIRE, ACCOMMODATION AND TRANSPORT. Tell us how many days you have to explore the Otago Central rail trail, how far you want to bike every day, whether your budget is crackers, caviar or somewhere in-between, and we’ll custom design YOUR perfect rail trail experience. If you've only got one day to spend exploring the Otago Central rail trail, let's make sure it's the best day ever!